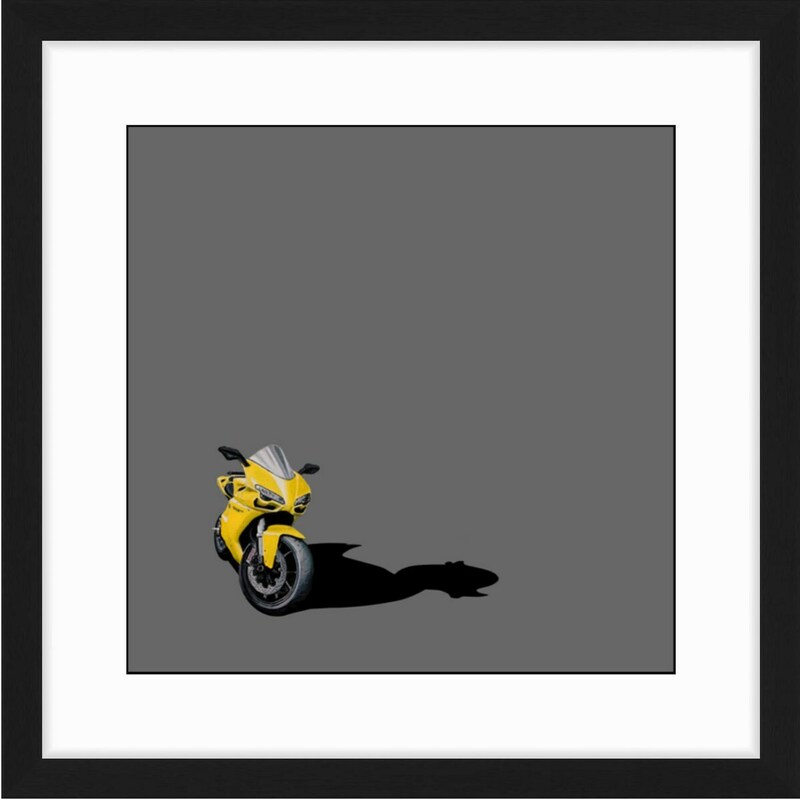 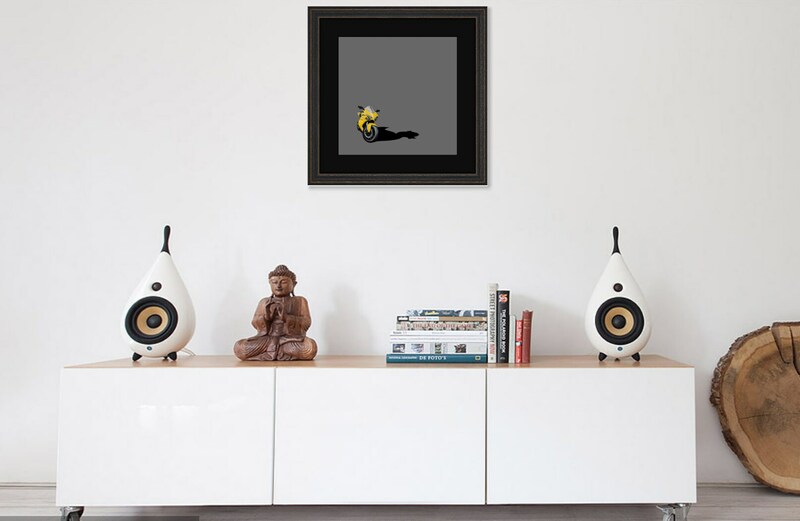 Danger and Play, Painting #2: Ducati 848 Evo w/Rubber Duck Silhouette. 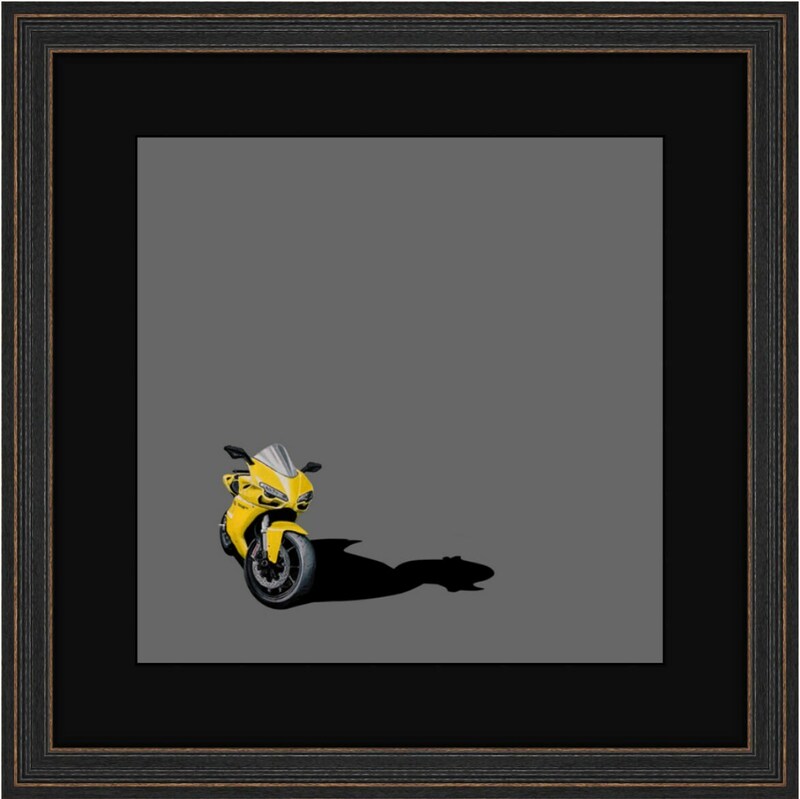 The original Acrylic-on-Canvas painting of this 848 was inspired by both the slang term for Ducati (Duck) and the more playful aspects of the bike. 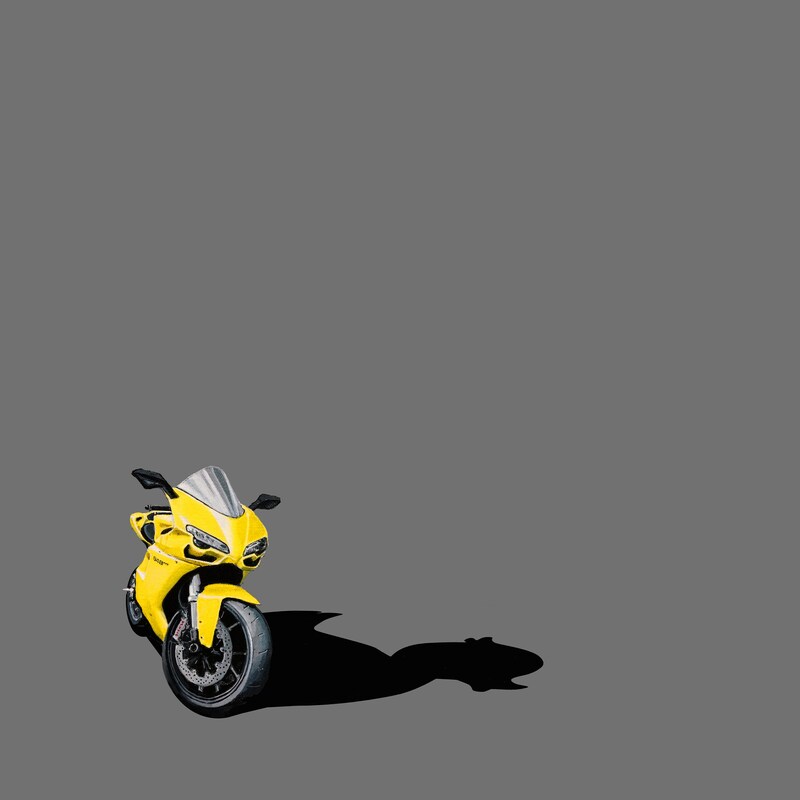 Performance capabilities of sportbikes often overshadow their cheerful and lively personalities and in this series, the artist wanted to capture the fun side of riding a Ducati.